The product is a bi-layered tablet containing simethicone 50mg and activated carbon, 300mg. Simethicone acts as an anti-surfactant, breaking down gas and wind in the gut, and the very fine particles of carbon act as an adsorbant, thus reducing gas and toxins in the gut. Neither of these ingredients is absorbed in to your system, which means that Bloateze is a very well tolerated treatment. 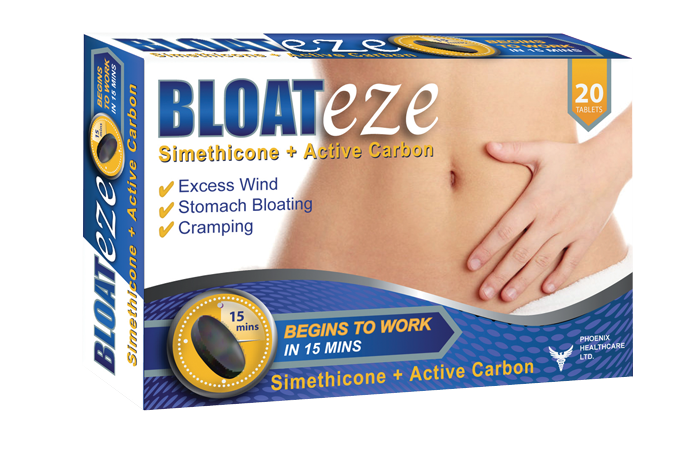 Bloateze is available over the counter from your local pharmacy. Bloateze is not a drug.